Care Managers: Working with the Aging Family addresses the unmet needs of care managers working with aging clients as well as the client’s entire family. 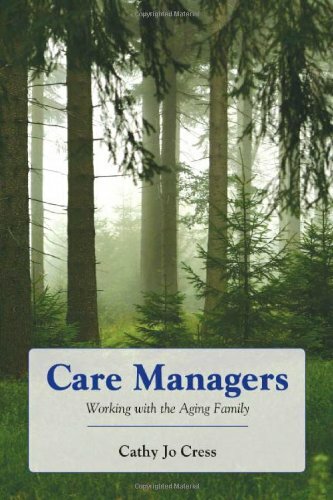 With its in-depth focus on the â€œ aging family system, this book fills a gap for medical case managers and geriatric care managers giving them tools to better meet the treatment goals of aging clients and their families, as the older clients move through the continuum of care in institutional based settings or community based settings. 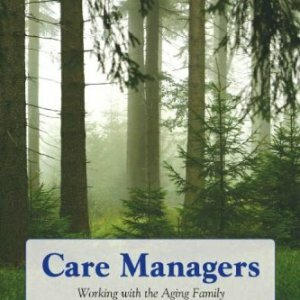 Care Managers: Working With the Aging Family uniquely focuses on helping the entire family unit through the process of death and dying, helping midlife siblings to work together to render care to aging parents. It adds proven techniques to the care manager repertoire such as family meetings, forgiveness, technology, and care giver assessment. It offers multiple tools to do an effective care plan so that both the needs of the family and the older client are met.